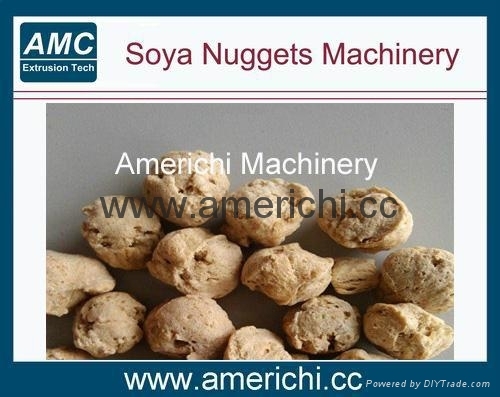 Soya Nuggets machine is developed and manufactured on base of our experience combined with the advanced machines from foreign countries. 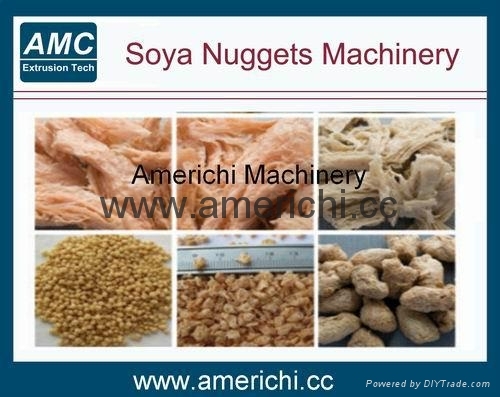 This line takes soybean meal and peanut meal as main raw materials. 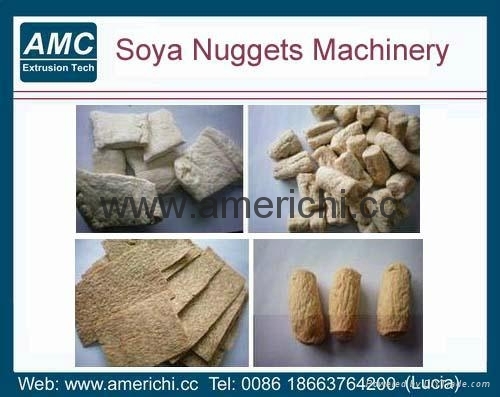 After milling, mixing, extruding and cutting, the meal becomes layer fiber structure. The finished products have high nutrition; look and taste like meat; easy to absorbing oil, water and taste; without cholesterol and animal fat, so it is widely used in meat products industry, fast food production, deepfreeze food production, and all kinds of vegetarian snacks and food.